Moving in, and moving out of your home can be a real investment. Whether moving into a student apartment, a pet-friendly apartment, or a luxury apartment make sure you have all the proper moving materials to expedite the process. 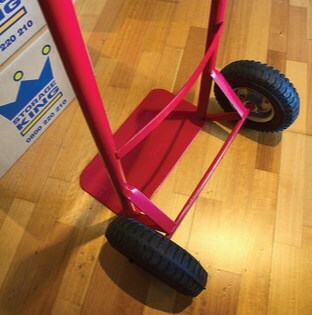 You'll need boxes, different types of packaging, and a moving vehicle. 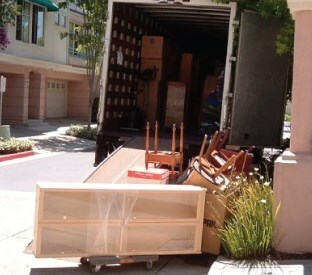 Most of the time, these accommodations are already provided for you by different moving service companies. We understand that if you absolutely need to pay for moving services, then by all means, go for it. However, you can skip the pricey accommodations and fees and create your own and far-less-cheaper moving process. Consider these DIY tips and recommendations so you can be able to save a few bucks on moving out. Grocery stores receive their inventory in boxes. Once inventory is completed, the boxes get thrown out to the back of the building, where they eventually accumulate and grow into an abandoned box junkyard. As long as you ask for permission, the store will hand over as many boxes as you need. Collecting these free boxes are a great way to save. Just stay away from old banana boxes. Find a local Publix or Winn-Dixie using a store locator so you can find boxes for your move. They're bigger grocery stores with even bigger boxes. Find a local BJ's Wholesale or a Walmart These stores tend to have an abundance of boxes on hand; this is generally due to the fact that customers have no other way to pack their enormously sized groceries. We recommend wholesale clubs for boxes; you can either go in and ask for boxes, or shop and leave with your belongings in boxes, whichever you prefer. Surprisingly enough, they may carry boxes too! Most leasing offices provide new residents different accommodations for moving. It doesn't hurt to stop by, say hello, and ask for boxes. If they can't provide you with any, they will certainly help you find some. Leasing offices are all about customer satisfaction, whatever the case may be. It will also give you some leeway on getting to know your leasing office better, which can always come in handy. We recommend going in and asking them for help. 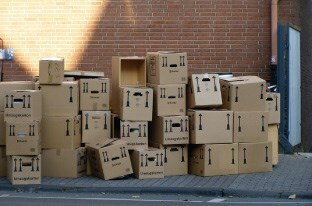 Whether you're moving into a 1 bedroom apartment, a 2 bedroom apartment, or a 3 bedroom apartment make sure you have enough boxes to make the move. It's better to have more than you need than to need more than you have. Whether it's a family member, friend, an ex you still have some connection to, or yourself, we know you're aware of someone who owns a truck. We highly recommend asking somebody else for a truck other than a moving service provider. A regular truck, van, or SUV will help you save on fees and other important payments that's bound to a moving company contract. Finding a moving truck can be difficult so don't feel renting a U-Haul is out of the question as in-town rates are very low and affordable. On the night before moving out, we recommend leaving the packed boxes on one side of the room and the furniture by the front door. 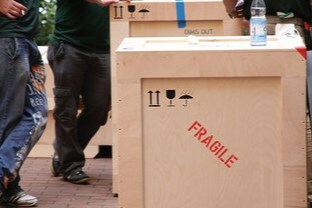 That way, when it comes time to pack, the furniture and other important and heavier items can be packed first. The boxes and other lighter materials can be packed easily after; they usually fit and organize themselves within and around the heavier items. If you are moving in to an apartment that allows cats or allows dogs make sure you have the proper equipment to bring your pet along for the move. Good luck with your move and we hope you enjoy your new home.